Apollo Pools services pools in the entire Brandon area. Pool Service Brandon: We run 12 trucks and take care of over 700 pools throughout the Hillsborough County area, including pool service brandon. Our personnel are carefully screened, trained and tested to insure that you receive quality service …every time. Pool Service Brandon is needed for many different reasons. Water that is not properly balanced and maintained can be very damaging to the pool surface and equipment. Disinfectant, PH, Total Alkalinity and Calcium Hardness are the starting point of balancing your water. 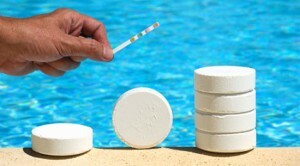 Proper chemical maintenance is essential for keeping your pool clean and clear. 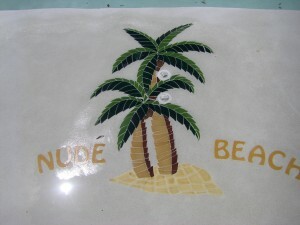 If pool or spa water is too hard or too soft it will stain and scale your pool or spa surface. If your water has a PH or Total Alkalinity that is too low or too high it will cause your equipment to fail from rust and corrosion. Swimmers may also experience itchy skin and burning eyes. Other aspects of water chemistry include phosphates and nitrates, which cause algae. Metals such as copper and iron will also stain and corrode your pool surface and equipment. Proper filter maintenance, and filtration rate of pool or spa water, vacuuming, debris removal from surface and brushing of the walls and tile are all needed to keep your pool or spa maintained for your equipment to work well and last longer for your swimming pleasure! Spas need to be maintained as a pool with many different variables to consider, length of filtration time, number of users and how many times a week it’s being used, temperature, sanitizer, cleanliness of person(s) using spa, if spa is covered and length of time since spa was drained and refilled with fresh water. It’s recommended that a spa be drained and refilled every 3-4 months depending on use. WATERBORNE CONTAMINANTS CAN MAKE YOU ILL!! It’s important to have a good Pool Service Technician, for the health of your family, and for your pool and spa to work properly and efficiently, saving you time and money! When your pool and spa are in proper working order and your water chemistry is balanced correctly, it increases the longevity of your pool, spa, filter, pump etc. After all, your pool and spa are an investment. cleaning filter on scheduled basis.